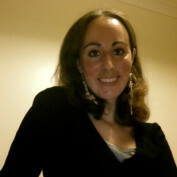 Freelance writer and blogger, I am passionate about music, reading and travel. I am always happy to discover new things but also to improve my writing skills and area of expertise. I am fluent in French (native tongue) and have been living in London, UK for about five years. In addition to freelance writing and blogging, I host a weekly online radio show and record voiceovers for independent artists occasionally. My voice has been featured on several tracks or albums and it's always a pleasure to collaborate on projects by artists I appreciate and support.